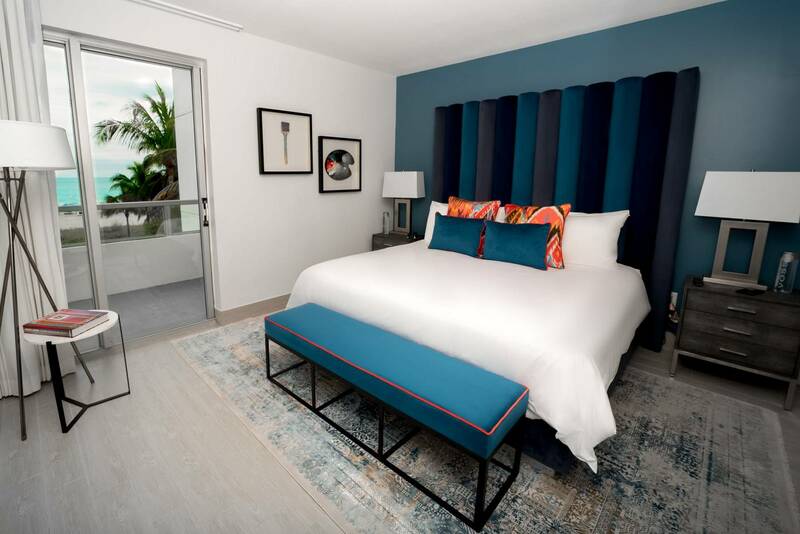 Situated within the historic Miami Beach Art Deco District, at the crossroads of the Lincoln Road Mall and Collins Avenue, this all-suite hotel offers 93 rooms, two-story bungalows and spacious oceanfront penthouses. 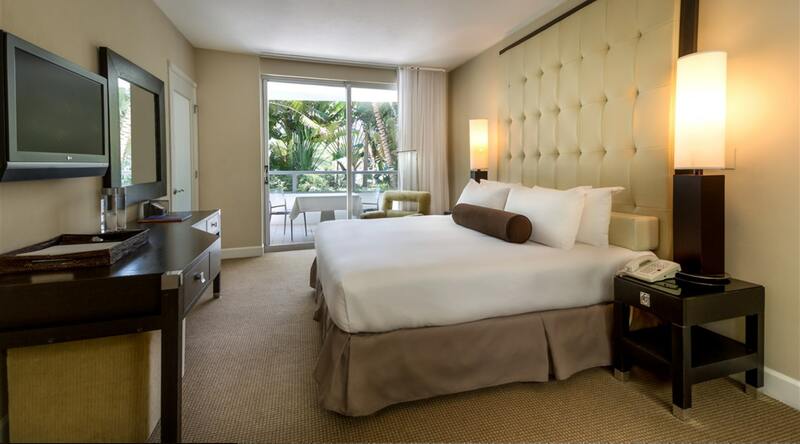 Our accommodations are the perfect complement to Miami's most recognized restaurants, nightlife, and shopping. 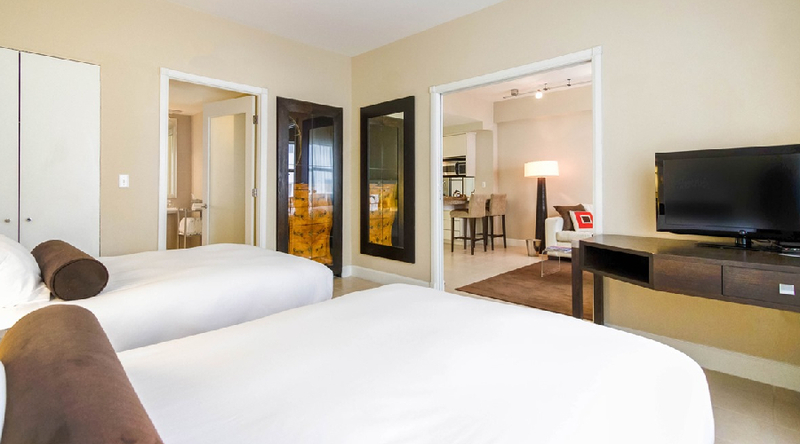 Take in the good life in Miami Beach with your own wet bar featuring premium spirits, spacious separate living area and plush king bed. Just you and panoramic ocean views from one of the highest points of the property. Enjoy looking out over the swaying palms and azure ocean. 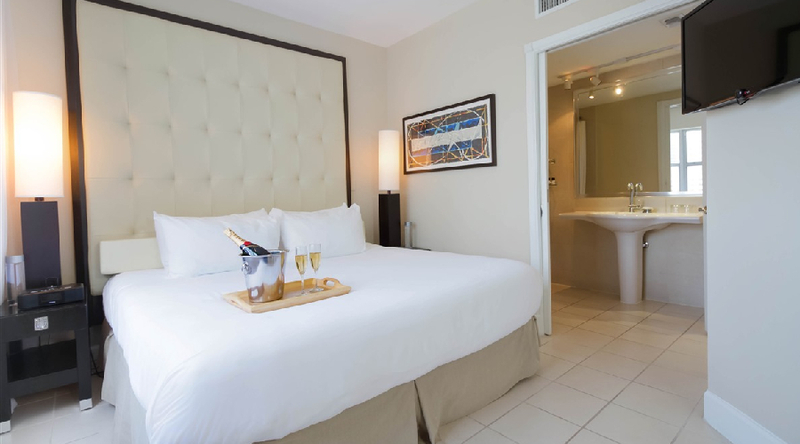 Spread out and relax in ample living spaces; enjoy a relaxing soak in your whirlpool bath and a restful night’s sleep in one of two double beds. Experience your own private beach bungalow with two floors of comfort and style. 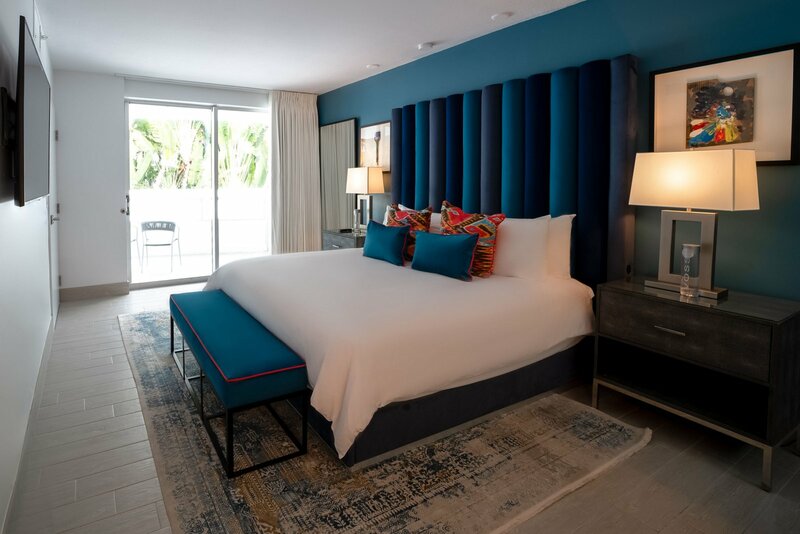 Your home in paradise awaits in this oversize suite with king bed and comfortable living spaces, featuring an indulgent spa bathroom and shower with multiple shower heads. 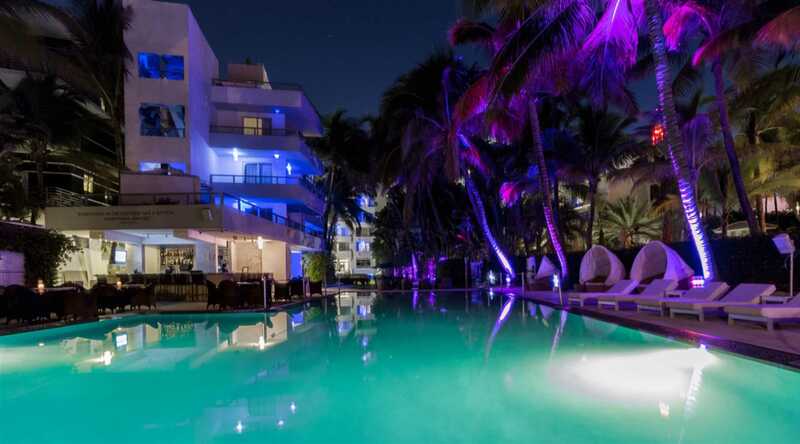 explore Miami beach in style. 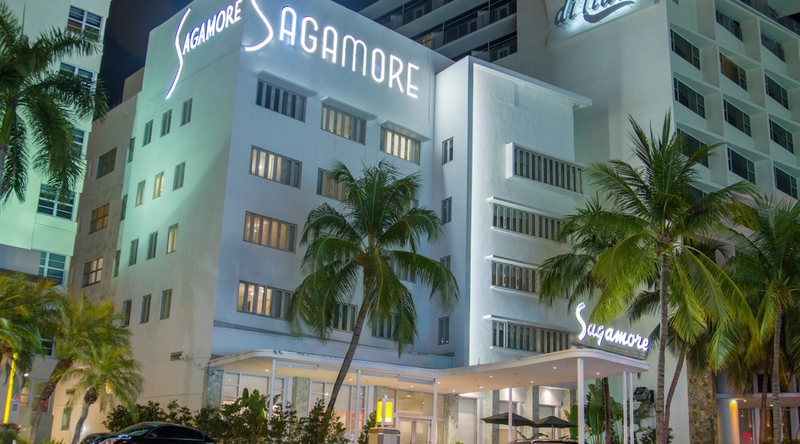 At The Sagamore, our exclusive Collins Avenue location is mere steps from the iconic Lincoln Road and Miami Beach Convention Center. 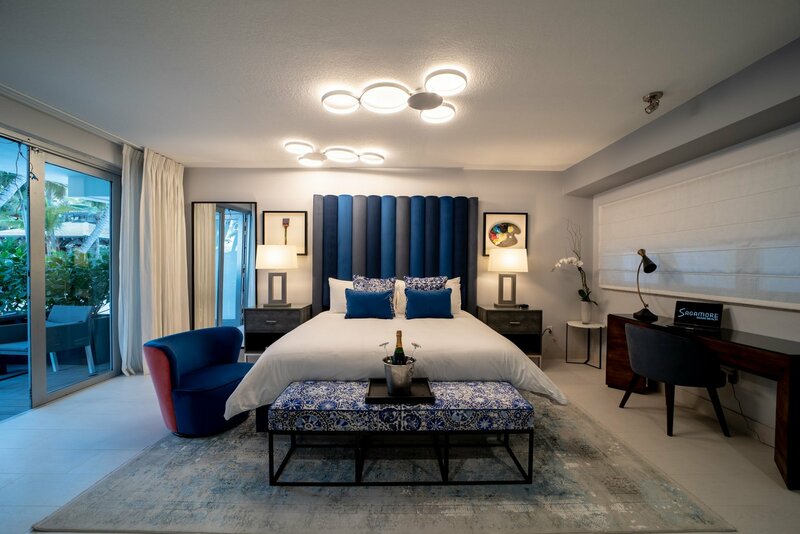 Our boutique personal service and large suites throughout unite with captivating collections of art to create one of the finest South Beach luxury locations.